Universal Pictures has announced that with Friday’s theatrical grosses “Furious 7” will cross $1 billion at the worldwide box office. The film is destined to become Universal’s highest-grossing movie ever next week. Continuing to break records at every turn, “Furious 7” marks Universal’s first film to achieve $1 billion during its initial release, with 1993’s “Jurassic Park” having reached $1.044 billion after its 3D re-release in 2013. With total global grosses estimated at $1.009 billion through Friday, “Furious 7” has earned an estimated $735.2 million overseas in 17 days and an estimated $273.7 million in North America after 15 days. “Furious 7’s” 17-day climb to $1 billion marks a new record for the fastest film to reach that milestone, as “The Avengers,” “Avatar” and “Harry Potter and the Deathly Hallows: Part 2” crossed $1 billion in 19 days. 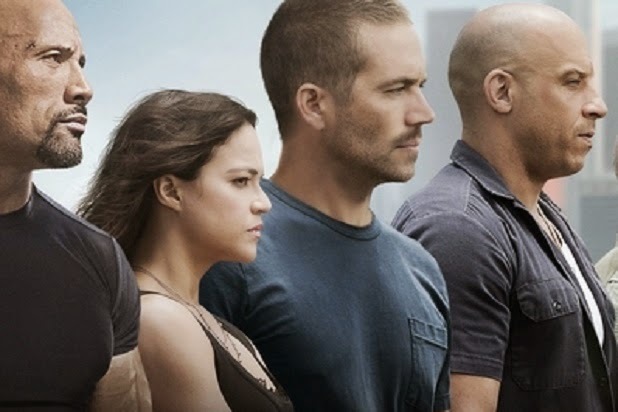 The only original live-action film franchise to achieve this magnitude of box office success, “Furious 7” has propelled the “Fast & Furious” series past $3 billion worldwide ($3.392 billion). “Furious” 7 has been the No. 1 film at the worldwide box office for two consecutive weeks and opened No. 1 in all 67 markets where it was released including North America. Second-biggest worldwide opening of all time ($397.2 million) behind only Harry Potter and the Deathly Hallows: Part 2. Highest-grossing domestic ($147.2 million) and international ($250 million) openings in Universal history. Biggest April and Easter opening. Highest opening since November of 2013 domestically. All-time highest opening weekend of any film in 29 territories. Universal’s highest-grossing film of all-time in 26 territories. Record-breaking opening day in China ($63.5 million) beating the previous record held by Transformers 4 ($36 million).